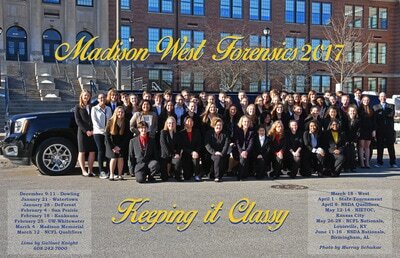 West has state champions from the Wisconsin State Forensic Tournament and our team consistently finishes in the top four. We've also had national finalists and semi-finalists. West debaters have been state semi-finalists in the state and at national tournaments. Our team is fortunate to have three coaches. 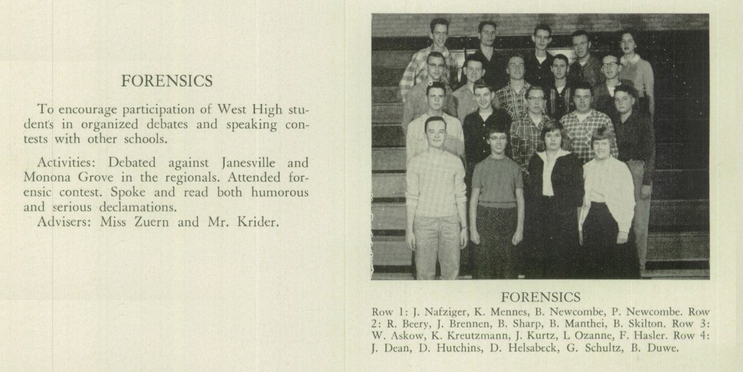 John Rademacher is a biology teacher at West and has coached speech since 2005, and coached debate 2008-2014. 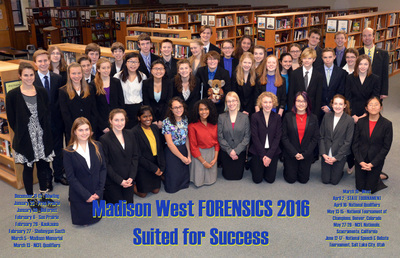 Tim Scheffler is a lawyer and has coached debate at Madison West since 2014 and at Madison Memorial High School since 2003. Lucy Woolson is a former West forensics team member, 2011-2015, and returned to coach speech in 2015. 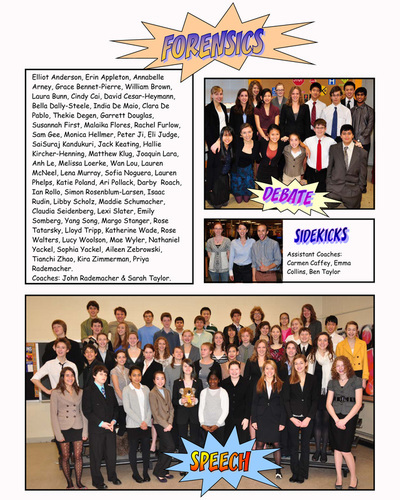 A forensics team is sometimes called a speech team. 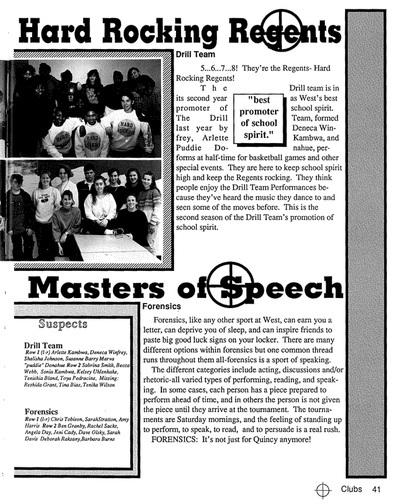 Everyone on the team practices and performs some form of public speaking or acting for a judge and a small group of peers. 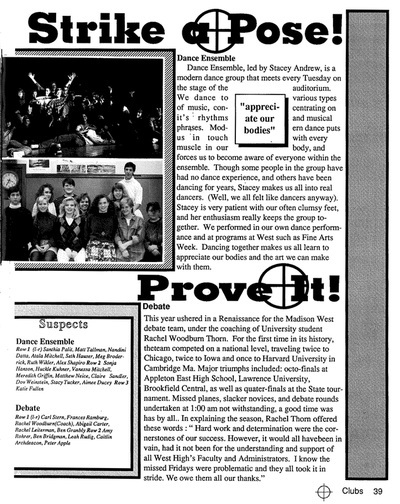 The judge provides feedback and critiques as well as a rank of your performance compared to the others performing in the same room. Competitors perform in three different rounds during the first part of a tournament. The ranks you earn in these three rounds translate into points for our team. These ranks also determine if you advance to the final round or “power round”. If you earn your way to a final round, your ranks here will determine your overall placement in the tournament. 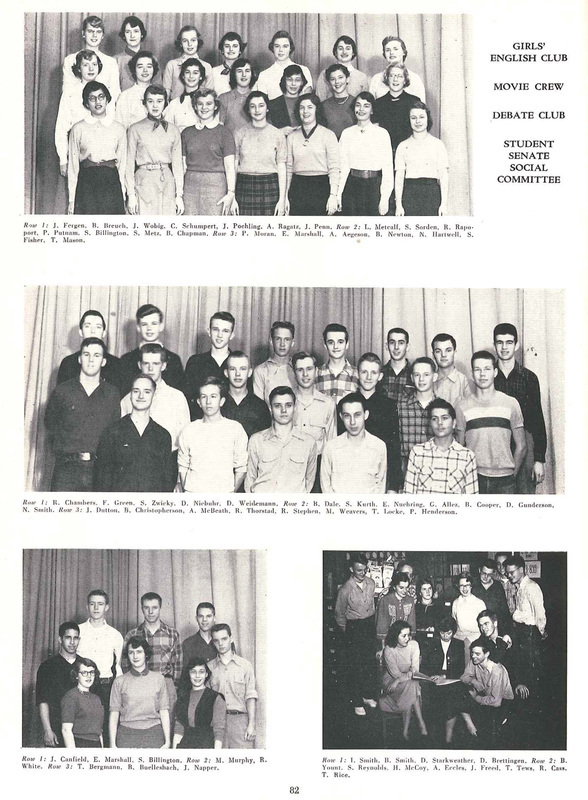 ​Similar to athletic teams like track & field, swimming and gymnastics, in forensics there are several different events or categories in which to compete. 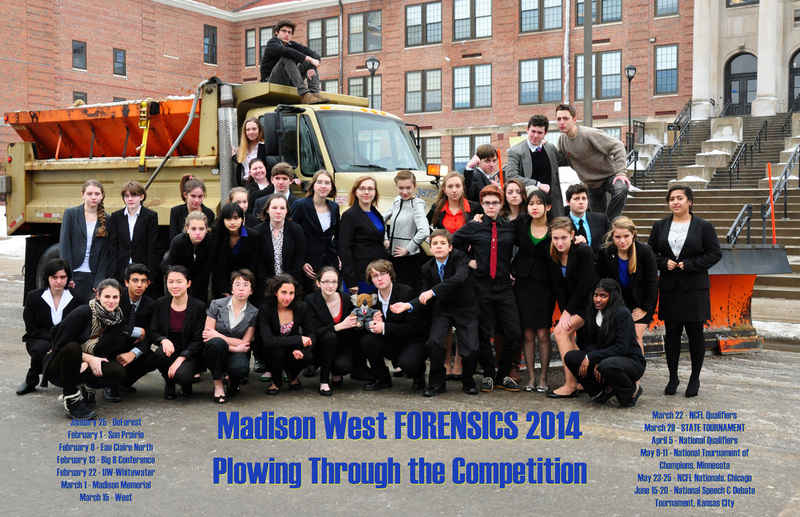 Currently there are eighteen different forensic events in Wisconsin. The events are broadly categorized as either interpretation/acting, original speech or limited preparation. Each event has its own requirements and rules, with time limits ranging from four to twelve minutes. All but three events are performed solo. As we move into the forensics season, you are encouraged to explore and try two or three different categories to find where your interest and talents lie. Working with a coach, you will find and specialize in one primary category. Our debaters compete in public forum debate. You and a partner from our team research and prepare arguments for debate against a pair from a competing team. The topic or resolution changes each month and is announced on the 1st of the preceding month. Every pair must prepare to argue both the pro and con sides of the resolution. Competitors typically debate five rounds. Once in the round, a coin flip determines whether your side argues pro or con, and whether your side speaks first or second. A judge provides written feedback and decides who wins the debate. Your win-loss record determines your rank at the end of preliminary rounds. 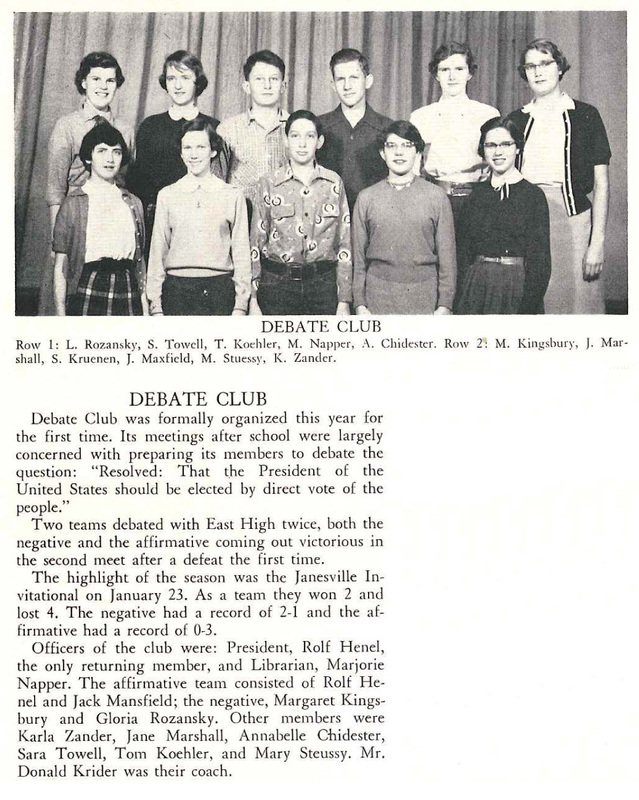 Most tournaments then match the teams with the best records against each other in elimination rounds. 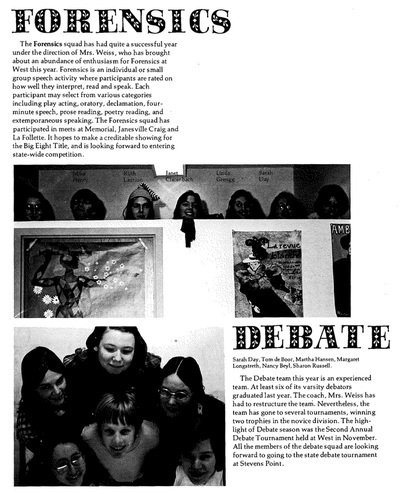 Student congress, also known as congressional debate, is an event that simulates participation in legislative government. 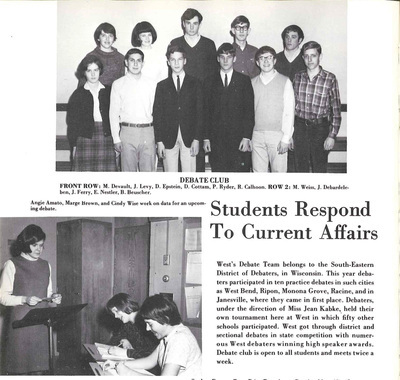 Competitors write legislation that is researched and debated in a congressional session. 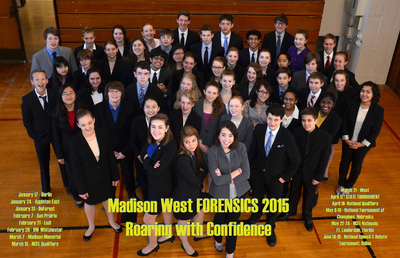 Competitions are normally held during the forensics season on Friday evenings prior to speech tournaments. 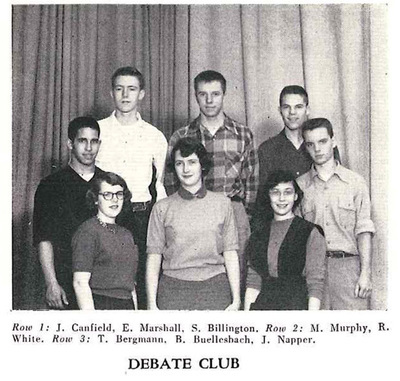 ​Debate practice occurs during lunch, and Thursdays after school with Coach Scheffler in room 3050. Forensic and debate tournaments are held on Saturdays, typically taking up the entire day. If you have regular Saturday commitments like a job, WYSO or other lessons, it is difficult, if not impossible, to compete in forensic tournaments. It’s analogous to being on the football team but having another commitment on Friday nights. 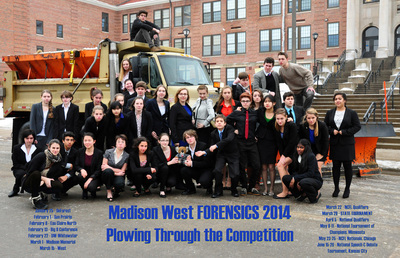 ​Our team belongs to state and national forensic associations. At local and the state tournaments, we follow all the rules set forth by the Wisconsin Forensics Coaches’ Association (WFCA) and the Wisconsin Debate Coaches' Association (WDCA). 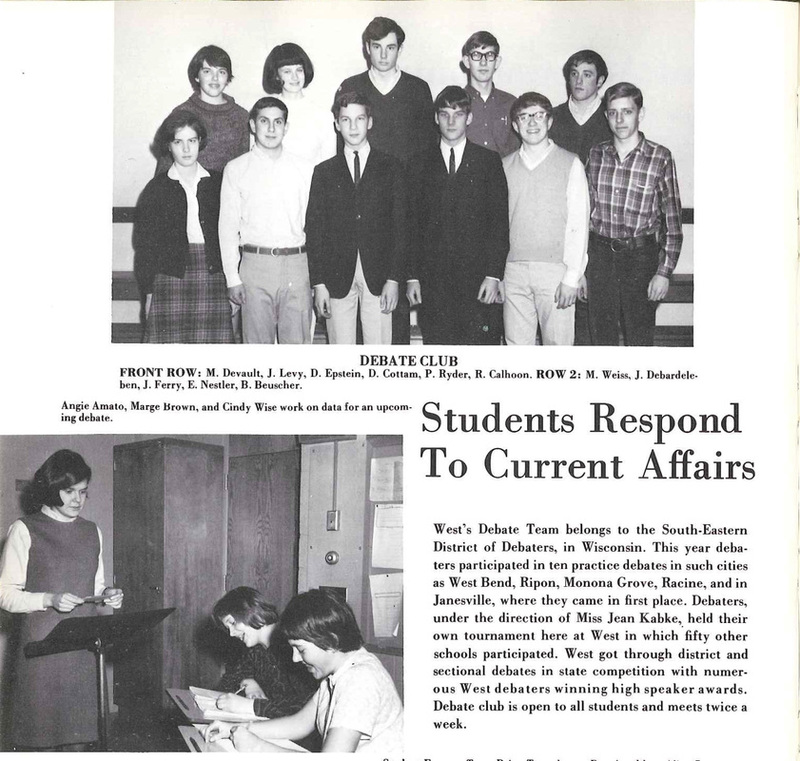 Nationally, we are a chapter of the National Speech and Debate Association (NSDA) in the Southern Wisconsin District. All team members are enrolled as members of the NSDA when they compete for the first time. Our team is also a member of the National Catholic Forensic League (NCFL) only for purposes of participating in their national tournament.